Amazon S3 offers different storage classes which can be easily used with CloudBerry Managed Backup. Each class addresses a slightly different use case and comes with its own price point. Understanding which storage class is best for your backup data is integral when looking to save on cloud storage costs. Storage classes can be targeted directly for backup or you can design storage lifecycle policies that automatically move data between classes. All storage classes include high levels of availability (uptime) and durability (reliability) and support SSL encryption for security during data transmission. AWS provides you with several features that cover both of these security concerns. To secure your S3 storage buckets and perform audits you can enable server-side encryption and S3 bucket logging, respectively. To secure your AWS account, you should configure AWS Access and Identity Management (IAM). 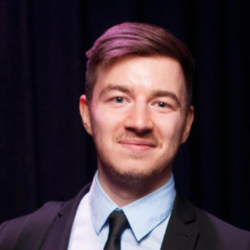 Alexander.K, Solutions Architect at CloudBerryAlexander is a solution architect at CloudBerry. He provides the pre-sales technical advice to our customers. Alexander knows all CloudBerry products well and is certified by AWS.